Former British PM warns that he sees a built-in problem "within Islam" that leads to extremism. 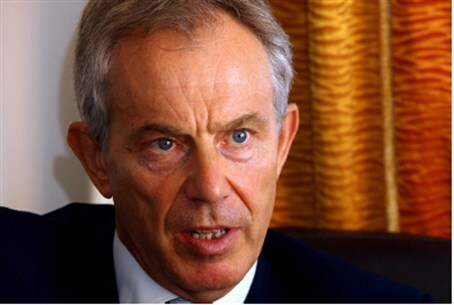 There is a problem within Islam that goes beyond the existence of religious extremists, former British Prime Minister Tony Blair has posited in what seems like a change in perception, writing in the Daily Mail. “There is a problem within Islam – from the adherents of an ideology that is a strain within Islam. We have to put it on the table and be honest about it,” wrote Blair, who currently serves as Special Envoy to the Middle East. “Of course there are Christian extremists and Jewish, Buddhist and Hindu ones. But I am afraid this strain is not the province of a few [Islamic] extremists. It has at its heart a view about religion and about the interaction between religion and politics that is not compatible with pluralistic, liberal, open-minded societies,” he continued. “At the extreme end of the spectrum are terrorists, but the world view goes deeper and wider than it is comfortable for us to admit. So by and large we don’t admit it,” he added. His comments were made in wake of the murder of British soldier Lee Rigby, who was beheaded by Muslim extremists in an unprovoked attack on a London street in broad daylight.